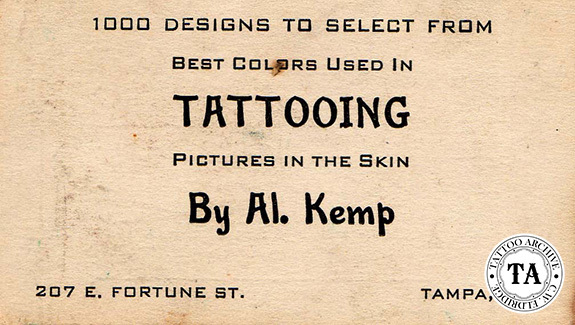 Al Kemp was tattooist who had shops at both 1218 Franklin Street and 207 East Fortune Street in Tampa, Florida. 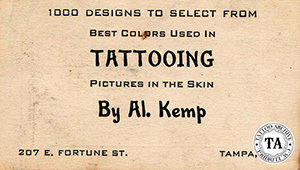 In the book Life as a Sideshow Tattoo Artist, Stoney Knows How, by Alan Govenor, Stoney St. Clair says of Al Kemp, "At that time there were only three or four tattooers in Tampa all winter, but there was only one permanent one, Al Kemp. He's dead now. 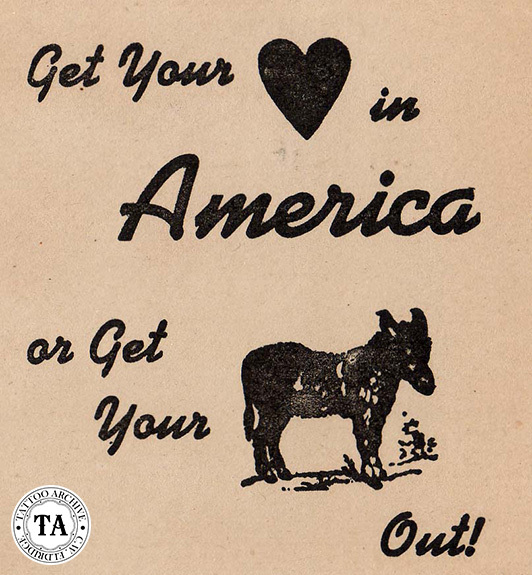 He was there from 1921 until he died in 1961. He was an old tattooer. Him and I tattooed right across the street from each other, but we didn't get along when I just set up there for the winter. He never came across the street to visit me, but when I moved there permanently in 1957, he came over every day. He knew he had to put up with me then, I had to put up with him, too."